Our X-Ray suites include state-of-the-art Digital X-Ray systems, which provide the highest quality images. Experienced, licensed X-Ray technicians perform all of our testing on-site. 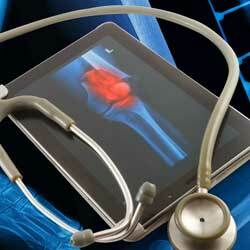 Your physician can immediately review digital images during your appointment. We also use a highly sophisticated fluoroscopic and mobile imaging unit for X-Ray localization during interventional pain management procedures. If you have had X-Rays or other imaging studies performed somewhere else, please bring the disc with you to your appointment. If you need a copy of your X-Rays, the fee is $6.50 per CD. If you call in advance – and we appreciate 24-hour notice – we will have your images ready for pickup at the reception desk.